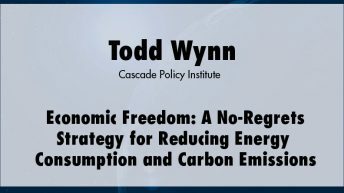 Todd Wynn is vice president of the Cascade Policy Institute and a policy analyst conducting climate change and energy policy research and analysis. While studying at the University of San Francisco for his Master’s degree in international and developmental economics, he worked abroad in India on climate change impact research. In collaboration with the International Crop Research Institute of the Semi-Arid Tropics, he produced a report that described the possible damages of an increase in global temperatures and potential adaptation methods for rural Indians. 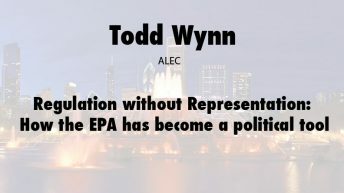 He has been published in numerous newspapers and journals and speaks extensively on climate change and energy issues across the state of Oregon.